#TeamJJF was in abundance in the Irish Hills, as Jimmie and a dozen fellow drivers flipped down special visors with the command to start engines. 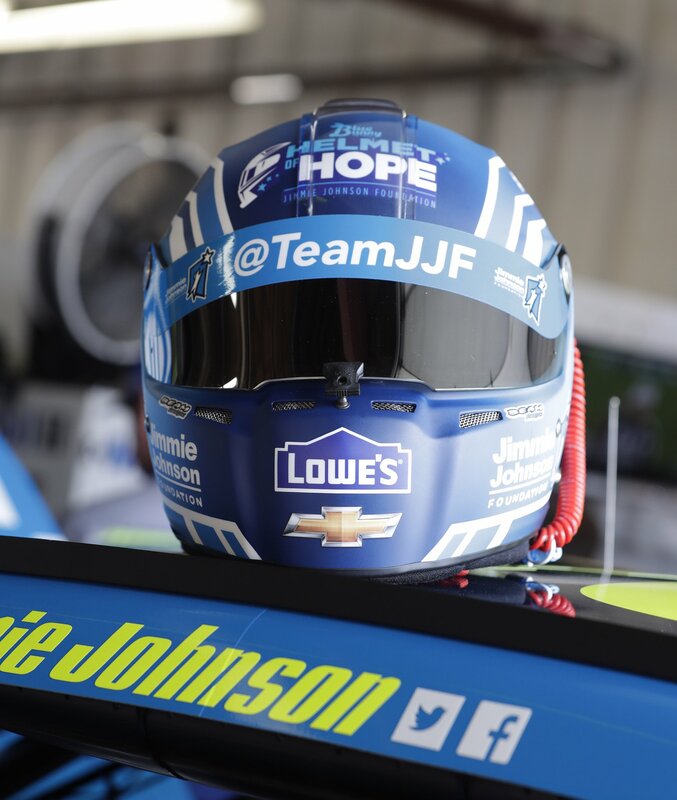 Now is your chance to support the Jimmie Johnson Foundation and own a rare piece of autographed racing memorabilia from your favorite drivers: through noon on August 25th, you can bid each of the visors worn by 18 of the world’s best stock car drivers! Click here to head over to the online auction, browse the full selection of visors available, and bid now! Drivers include seven-time NASCAR champ Jimmie Johnson, his Hendrick teammates Dale Earnhardt Jr., Chase Elliott and Kasey Kahne, former champions Kyle Busch, Kevin Harvick and Matt Kenseth, and others! Your support of the Jimmie Johnson Foundation will benefit K-12 public education, a cause near and dear to Chandra and Jimmie Johnson. Thank you to all of the drivers who made the first #TeamJJF visor campaign a huge success!